The Romans certainly left their mark on Catalunya; and nowhere more so than in Tarragona, the Roman capital of Catalunya. Within easy reach of Barcelona, about an hour by train, Tarragona, or Tarraco as it was called then, is well worth a visit. Smaller & less hectic than the big city, it makes a pleasant day trip or weekend visit. I took the train from Barcelona down to Tarragona, but be careful which train you take. The high speed Ave train station Camp Tarragona is actually around 20 minutes’ drive in a taxi from the town centre, which, if you arrive on a Bank Holiday as I did, works out more expensive than the train journey from Barcelona. Instead, opt for the slower trains, and choose Tarragona as your station; which drops you just a short walk from the seafront and the centre of Tarragona. 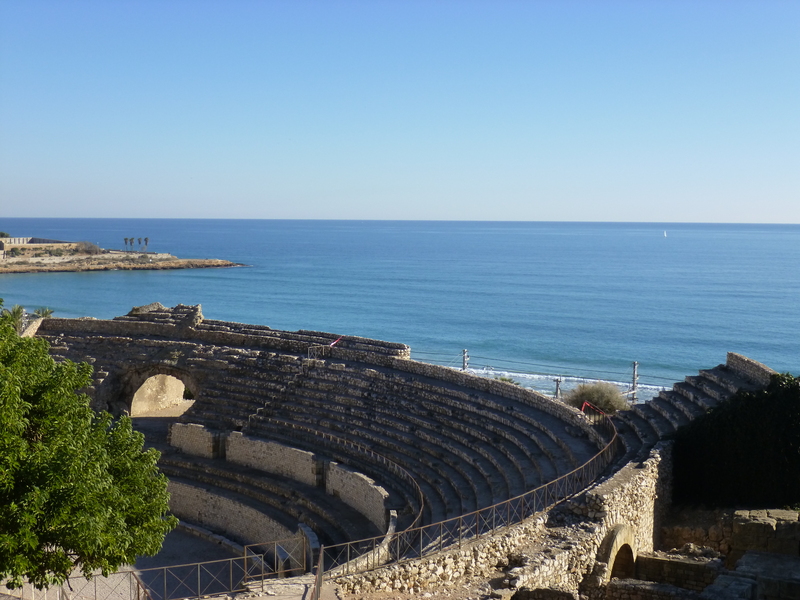 The Roman remains of Tarraco draw visitors here, and it is easy to see why. The beachside Amphitheatre is an impressive structure, and other remains of aqueducts, walls and columns are dotted around the city. Most hotels offer maps including the locations of the ruins, so be sure to ask at your hotel if you’re staying overnight. I stayed at the Hotel Lauria, on La Rambla Nova, which was basic but pleasant, and very well located. Rambla Nova on that day was host to a market selling various handmade & artisan goods so I had a good scrounge, and bought a handmade jewellery set which I was very pleased with. 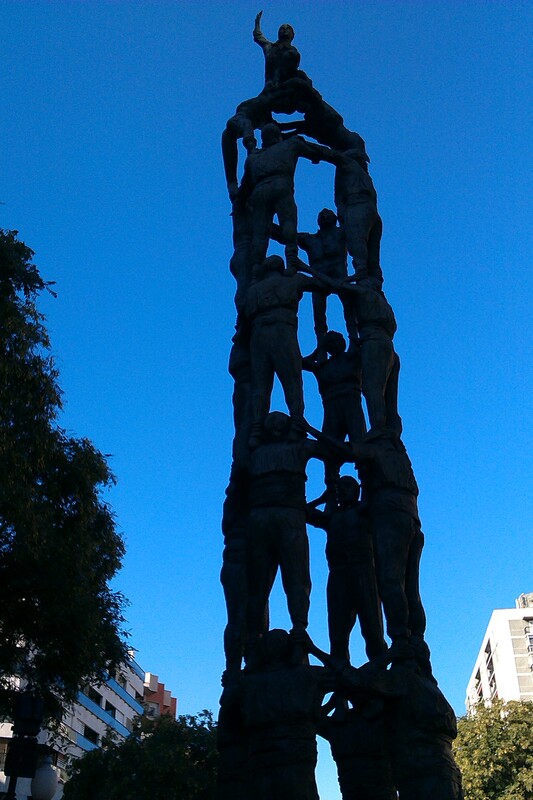 There are a variety of shops and restaurants along the Rambla, and a statue in homage to the Castellers (the human castle builders) which originated in Tarragona & Penèdes. I spent the rest of the day wandering around the city; coming across various Roman remains as I went. Highlights for me included the Cathedral (built in the 12th-14th Century), the views from the Balcó del Mediterrani (Mediterranean Balcony) which overlooks the sea, and of course the Roman Amphitheatre. The city is also host to a festival where live performances and re-enactments bring Roman Tarragona to life. This year the festival is in May, see here for more info – I am planning to go again to see the gladiators in action! Catalonia is such an amazing area. I love you photos, they remind me of my trip to Barcelona, Valencia and Andalusia!